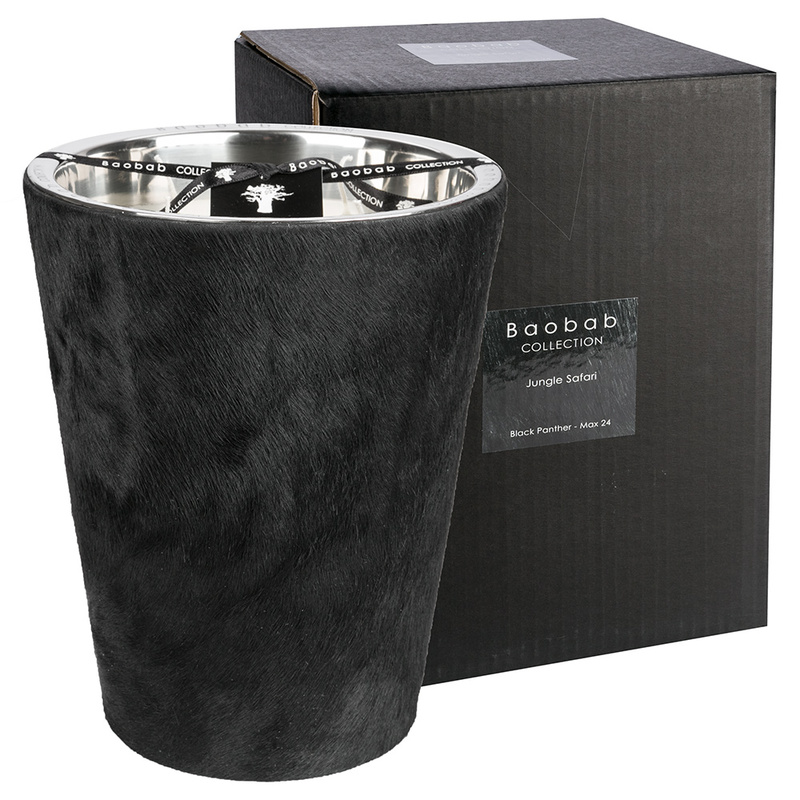 Hand crafted and poured into a luxurious glass jar boasting a black faux fur exterior. Beautifully fragranced with spicy and woody notes that include cinnamon, patchouli and lemon. Estimated burning time of 400 hours.